I dont know what the pattern means in the 2nd paragrah after completing the 1st paragraph. LEFT FRONT Cast on 60 sts using 33⁄4mm (US 5) needles. Row 1 (RS): P2, (K2, P4) 4 times, K8, (P4, K2) 4 times, P2. Row 2: K2, (P2, K4) 4 times, P8, (K4, P2) 4 times, K2 . Rep these 2 rows 7 times more, ending with a WS row. Change to 4mm (US 6) needles. Dec 1 st at beg of next row. 59 sts. Work 5 rows, ending with a WS row. Row 9 (RS): Work 2 tog, patt to within 2 sts of the 8 st cable, P2tog, work the 8 cable sts, P2tog, patt to end. 56 sts. Dec 1 st at side seam edge of 6th and foll 5th row. 54sts. Row 25 (RS):As row 9. 51 sts. You haven't said in your question, but I am assuming that as the pattern has a graph or chart for you to follow, that you are knitting a reasonably complicated Aran pattern. do the increases specified in the instructions from the * (which I added to my answer clearer). So, work 2 rows (rows 1 & 2 on the chart). Then on row 3 you do the first decrease row. Then you knit 5 rows (rows 4 to 8). On row 9 of the chart you do the second decrease row. 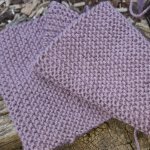 Row 10 is another decrease row and then you knit 4 rows (rows 11 to 14 on your chart). I could go on, but I think you have probably got it by now.